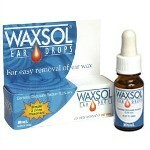 Wax Removal / Cleaning Ear Drops These can be used to soften the wax and disperse it from your ears. 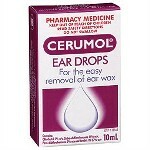 Useful when ears are blocked with excessive wax buildup. Swimmers Ear Drops Designed to treat and protect "swimmers ear", these drops will absorb moisture and reduce inflammation. Pain Relief Ear Drops Drops that contain an anaesthetic to reduce the pain associated with earaches caused by infection. 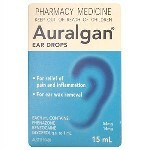 Use these if you are suffering from Otitis Media or middle ear infections. All-Natural Ear Drops If you are looking for a drug-free alternative, these drops contain only natural ingredients and are suitable for minor ear inflammation and pain. If you are suffering from acute pain, and your symptoms persist, make sure you see your Doctor.